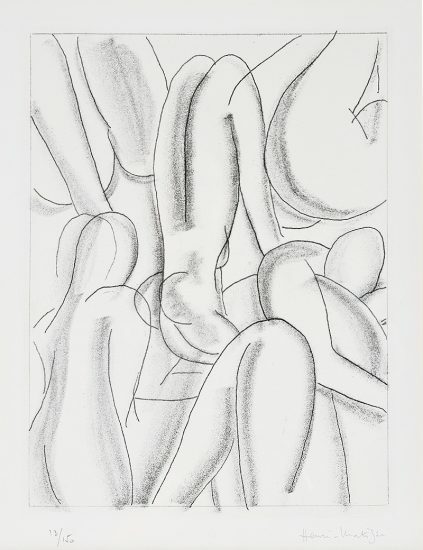 Numbered from the edition of 100 in pencil in the lower left margin. 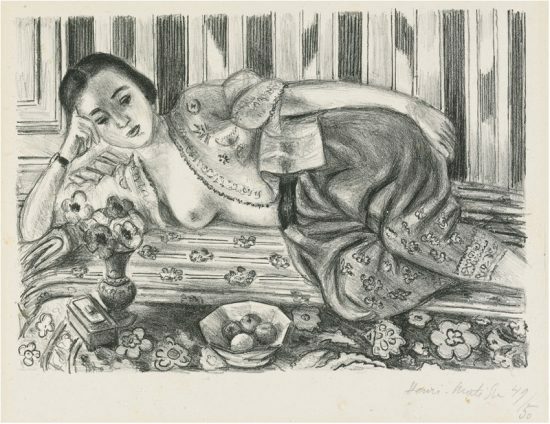 This work is hand signed by Henri Matisse (Le Cateau-Cambrésis, 1869 - Nice, 1954) in pencil in the lower right. The work is also initialed and dated in the plate in the lower left. The date is in reverse. 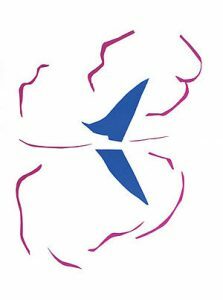 Henri Matisse Teeny, 1938 is bold and dramatic in scale and perspective. 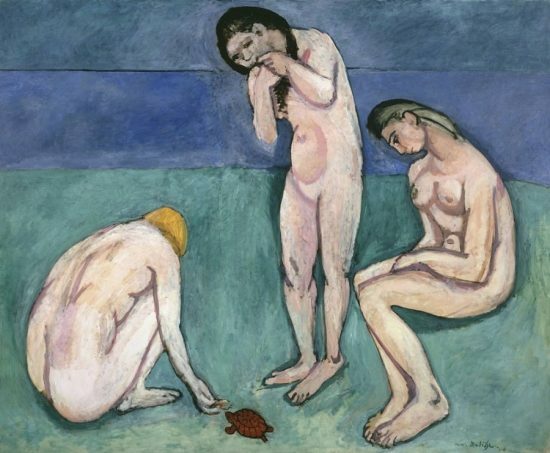 Alexina “Teeny” Duchamp was someone that Henri Matisse was very fond of. 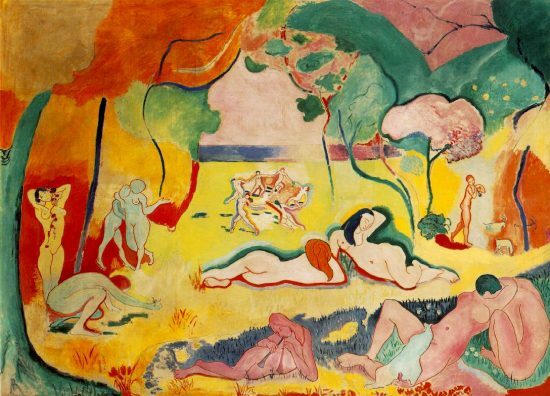 She was the first wife of Henri Matisse’s son, Pierre, and second wife to Marcel Duchamp. 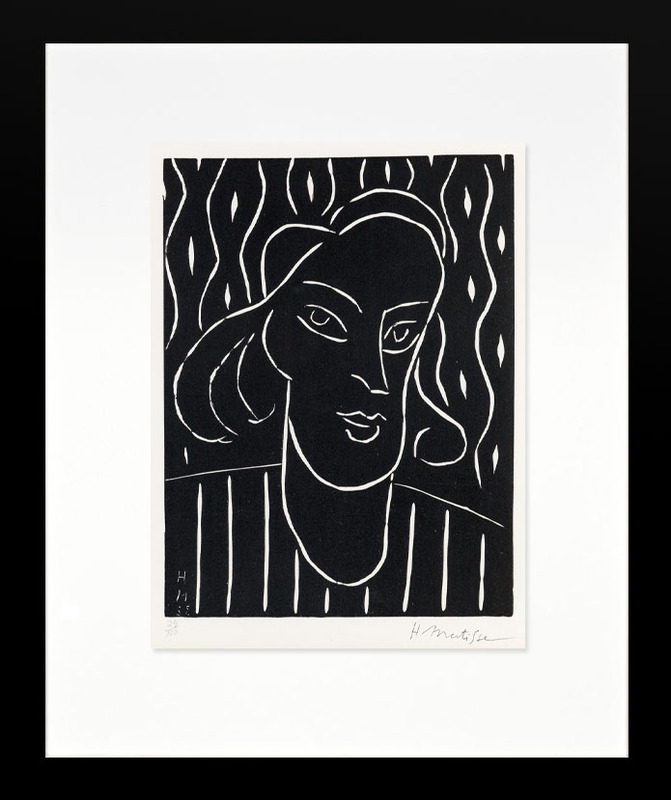 Matisse approaches Teeny with a sensitive eye capturing her piercing eyes, delicate nose, and full lips. 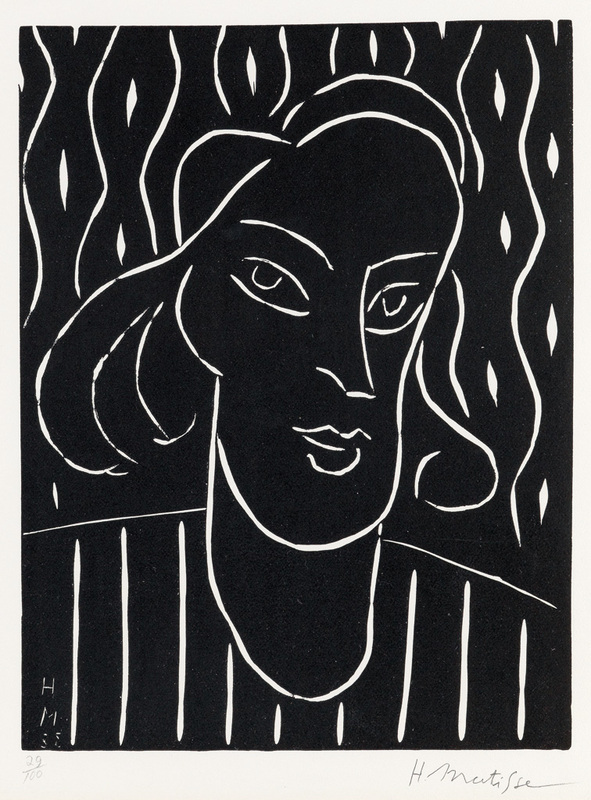 Enhanced by the intense black and white contrasts achieved by the linoleum cut, this work displays a delicacy of line and patterning. 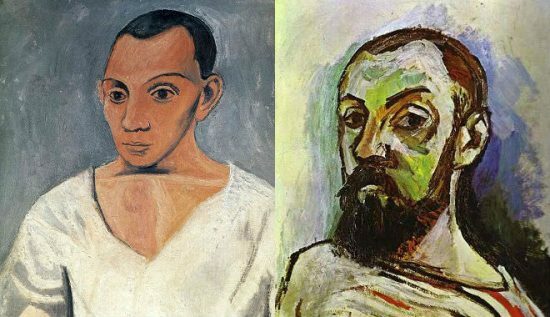 The subject's distinct almond eyes, arching eyebrows quizzically address the viewer. Her shoulder length hair cascades around her face creating a sense of motion in this otherwise fixed portrait. The diamond and zigzag patterning of the background evokes a wallpapered interior which further enhances the overall familiarity of the scene. Capturing the moment before speech, the partially smiling yet separated lips, call to mind the mysterious portrait of Mona Lisa. This sense of uncertainty inspires continual study and reevaluation. 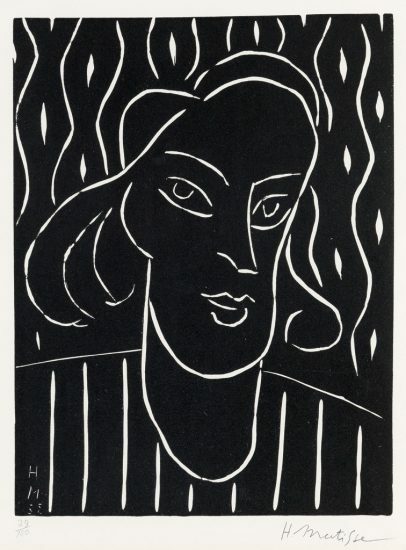 Created in 1938, Henri Matisse Teeny, 1938 is a Linoleum Cut (linocut). 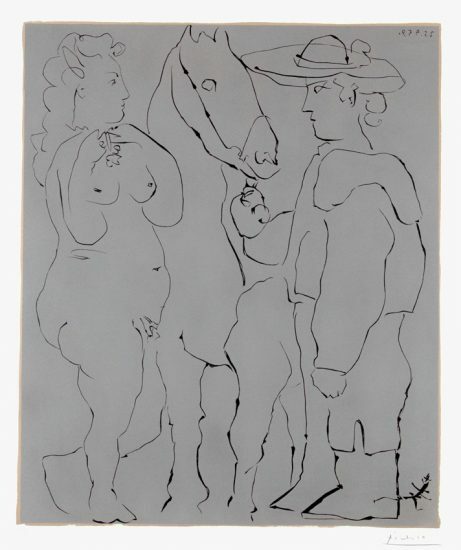 Numbered from the edition of 100, this work is hand-signed by Henri Matisse (Le Cateau-Cambrésis, 1869 - Nice, 1954) in pencil in the lower right margin. 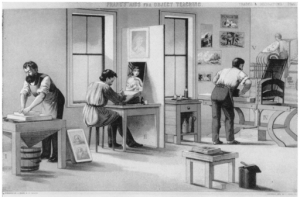 The work is also initialed and dated in the plate in the lower left. The date is in reverse. 1. 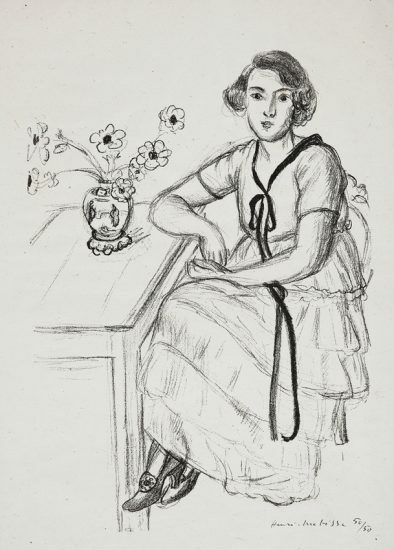 Duthuit-Matisse, Marguerite, Henri Matisse: Catalogue raisonné de lœuvre grave Tome II. 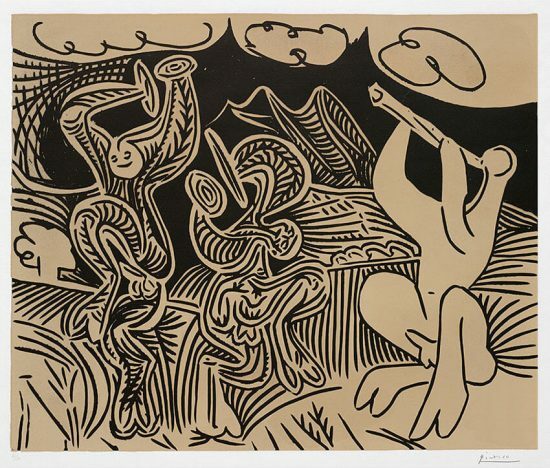 Paris: Claude Duthuit, 1983, Listed and illustrated as catalogue raisonné no. 723. 2. 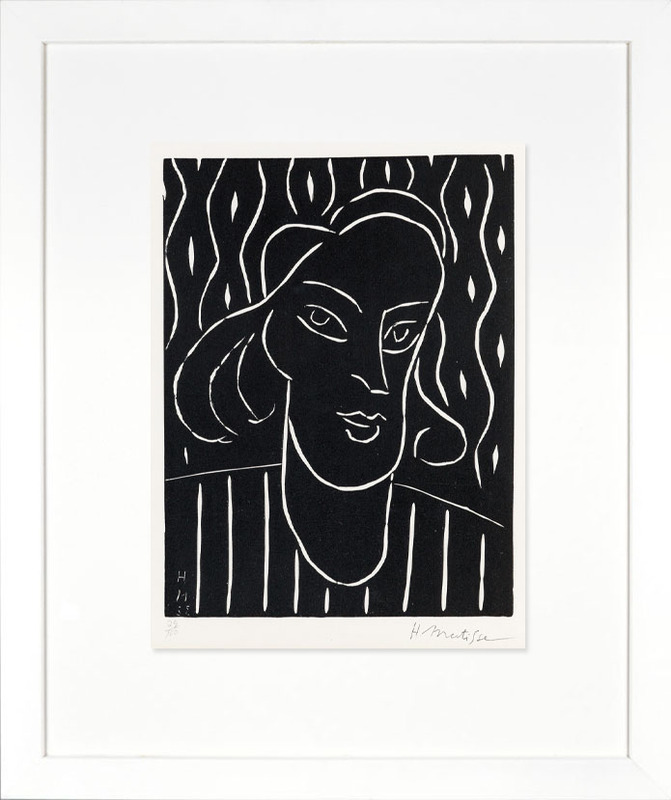 Neret, Gilles, Henri Matisse, 1996. Koln, Taschen, 1996. Listed on page 181 and illustrated on page 180. 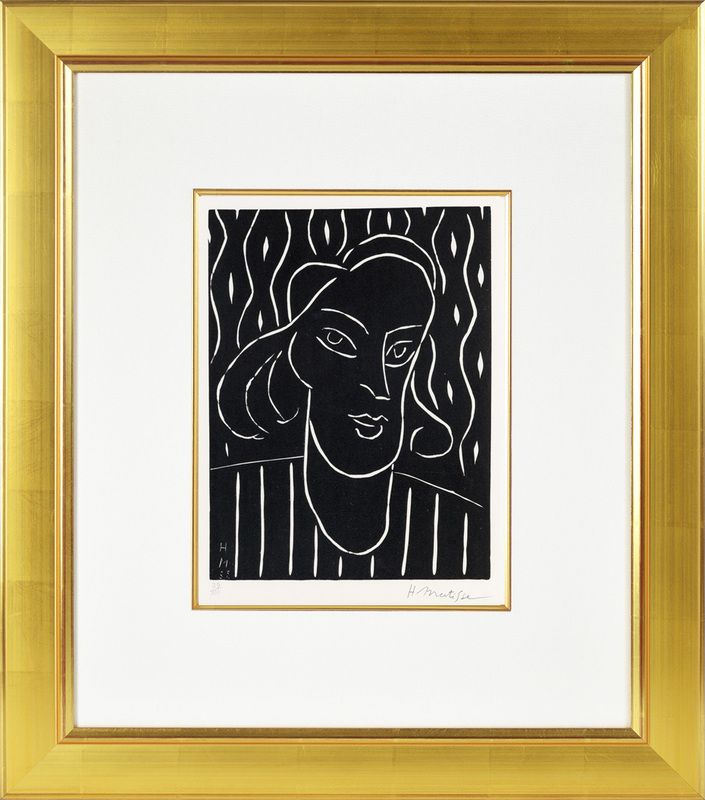 Framed to museum-grade, conservation standards, Henri Matisse Teeny, 1938 is presented in a complementary moulding and finished with silk-wrapped mats and optical-grade Plexiglas.